Still suffering from the December hangover? Exhibiting withdrawal symptoms? Worry not! 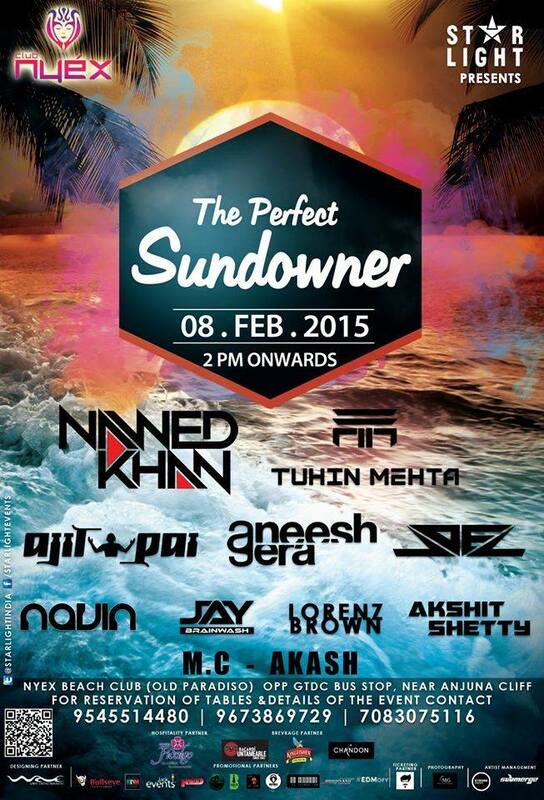 Club Nyex at Anjuna in association with StarLight, is playing host to The Perfect Sundowner this Sunday, 8th February, featuring a mind boggling lineup of DJs, many of whom performed at Sunburn or Vh1 Supersonic last year! Here we present to you 5 Reasons on why it would be imperfect on your side to miss The Perfect Sundowner. Featuring artists who you might’ve missed out on during Sunburn or Vh1 Supersonic, here’s another chance to witness them all perform live under a single roof! From Trance to Bass to House to Prog, this lineup shows promising signs of ensuring that you won’t be heading home very early. 3. 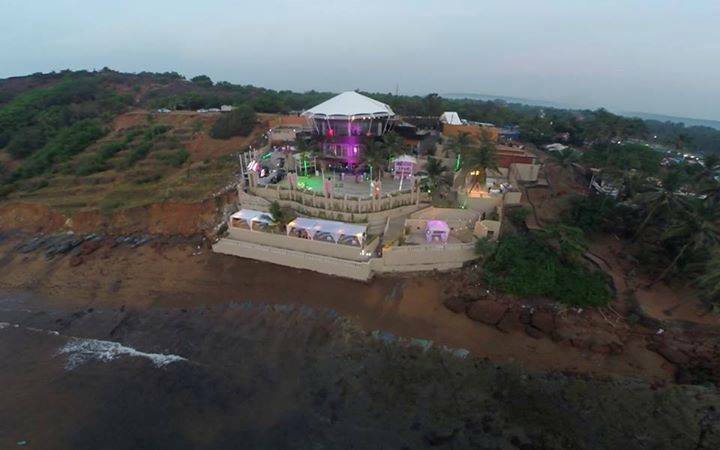 It’s at Anjuna beach! Located right on the Anjuna cliff with an awesome view of the Arabian Sea, you might want to check in early to capture the beautiful sunset. After all Anjuna is the beach from where various sub-genres of Trance have derived their inspirations from! Not to forget, Above and Beyond have even named a track after this place! It’s definitely not your average night club outing. This one promises to be different! In case you’re tired of the feet stomping and need some private space to chill-out, you have a reason to celebrate as this club has it’s very own private beach. Either way, win-win! Stay tuned to EDMofy for related news about more awesome happenings around Goa!